The spicy flavours of Kerala and Sri Lanka come alive at two suburban eateries. Housed in a spacious bungalow, Gajaa at 8 sports a lively, soothing interior décor with seating well-spaced enough to allow conversation without raising your voice. An adjoining room houses Whiskeypedia, which serves a variety of liquors from a bar housed in a converted truck body. Several pages of the menu offer unusual and whimsically-named dishes from Kerala. You’d expect coconut, spices and rice to feature strongly. We started with a Plain and an Egg Appam (RM7 each), large, bowl-shaped pancakes made from rice flour and coconut milk. Fresh with crisp, lacy edges, and fluffy and light in the thick centre, the Appams had a light fragrance from the coconut milk, but are plain on their own. The recommended Kerala Chicken Briyani (RM28) was an unexpected hit. Served in a claypot with hard-boiled eggs, the rice was moist and fragrant with exotic spices, with generous pieces of tender, smoking-hot chicken. A Royal Secret (RM38) was mutton pieces served in a half-coconut shell. The Secret was thick with spices and coconut milk, with a meaty, peppery flavour best savoured with fresh, thin-skinned Chapati (RM5). Dismayingly similar in flavour, Mushroom Varuthachara (RM18) was thinner but also peppery-spicy, with coconut milk, curry leaves and mushroom slices. Seafood features strongly in Keralan cuisine as it is a coastal province, but the Alleppy Kingdom (RM30), a bright-red, thin curry with pieces of firm fish, failed to impress, leaving a fishy impression. 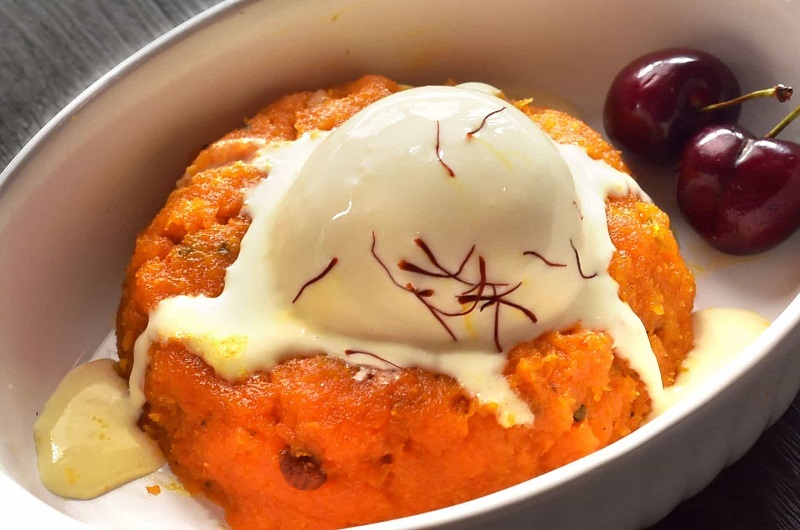 Gajar Ka Halwa with Ice Cream (RM12) was predictably sweet, but missed the depth of slow-cooked halwa while the Kulfis (RM12 each) fared better, especially the natural-flavoured almond kulfi with a thick, creamy, icy consistency. While the Mango Kulfi found less favour, the Mango Lassi (RM12) was superb, being creamy, smooth and rich with mango flavour. No less impressive was the Salt Lassi (RM12), which was filling and luxuriously creamy. 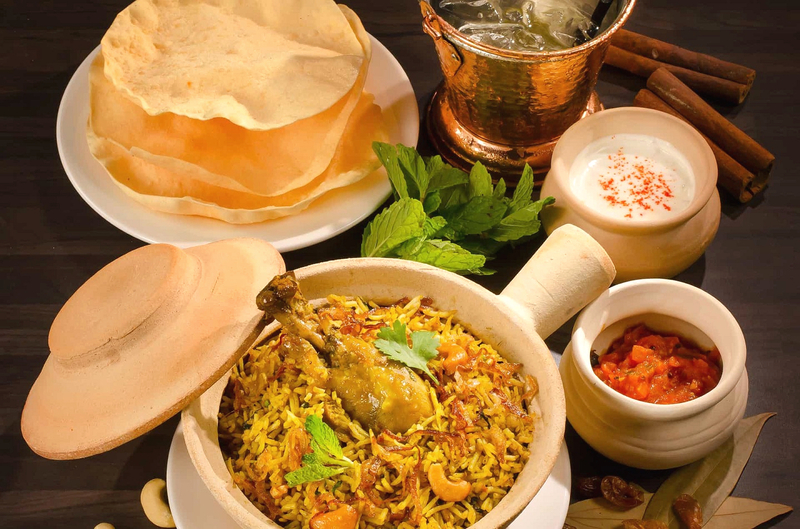 The restaurant serves good Keralan cuisine, robust and wholesome, although some of the dishes could have been executed with greater finesse. Something of a cross between a mamak shop and an Indian restaurant, RaamRavan opts for the rustic look, with thatched roof and rough-finished walls. 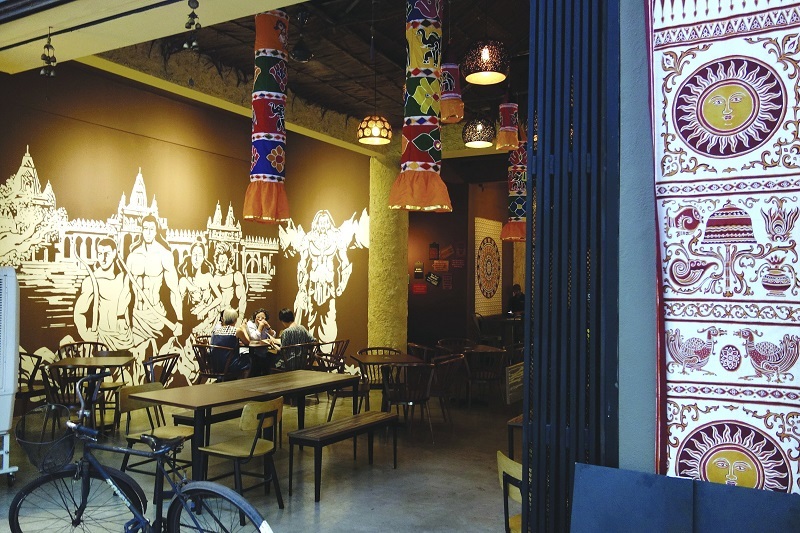 A mural of Marvel-comic muscular figures from the Ramayana provides a clue to the restaurant’s name. The restaurant opens for breakfast and lunch, and serves Mojitos, Margaritas and Martinis as well as beer, soft drinks and fruit juices for drinks. The menu features South Indian food, with Sri Lankan specialties. That’s what we focused on, starting with an Appe with Coconut Milk (RM3.90), served crispy-fresh with some jaggery and coconut milk, before moving onto the unusual Crab Rasam (RM13) which was powerfully spicy and refreshing, as Rasam always is, but rich with meaty crab flavour. A Sri Lankan street favourite, the Chicken Masala Kottu (RM18), cooked with shredded roti, vegetables and meat, was simple but appealing, being appetising with a quick hit of spicy flavour and mixed texture — a complete meal in itself. Lamprais, another Sri Lankan specialty, is available only on weekends, and the version we tried was with mutton (RM29). Layers of banana leaves and foil were unwrapped at the table, revealing the mix of rice, mutton pieces, ash plaintain, dhal and eggplant, baked to a fragrant, colourful, spicy, moist mixture absorbing the mixed flavours. The flavoured rice was delicious, enhanced by tender mutton pieces and gooey-soft eggplant, and plaintain for body. The portion can easily feed more than a couple of people. Kerala Grilled Fish (RM40, whole seabass), was similarly marinated in a masala with long bean slices before being baked in foil unfolded at the table, the result revealing itself to be rich, moist, tender and spicy, just the thing to accompany rice or chapati. To finish, we shared the Watalappam with Ice Cream (RM16) and Carrot Halwa with Ice Cream (RM12). 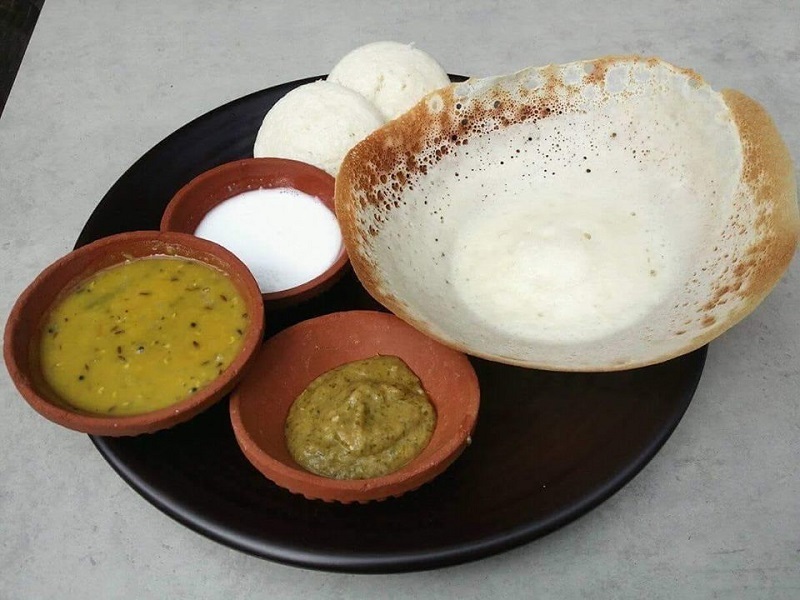 Watalappam is a regional dessert of South India, particularly Tamil Nadu, and is a jaggery-sweet custard rich with coconut cream, egg and spices. It was very agreeable, being mild, smooth and sweet with a little fillip from the spices, while the warm Carrot Halwa was rich, not too sweet and good with the ice cream. RaamRavan delivers on its sweet spot — hearty portions that are robust and authentic. The food is plentiful and fresh, with deep spicy flavours convincing you that you are in Sri Lanka. Service was good, in spite of it being crowded. 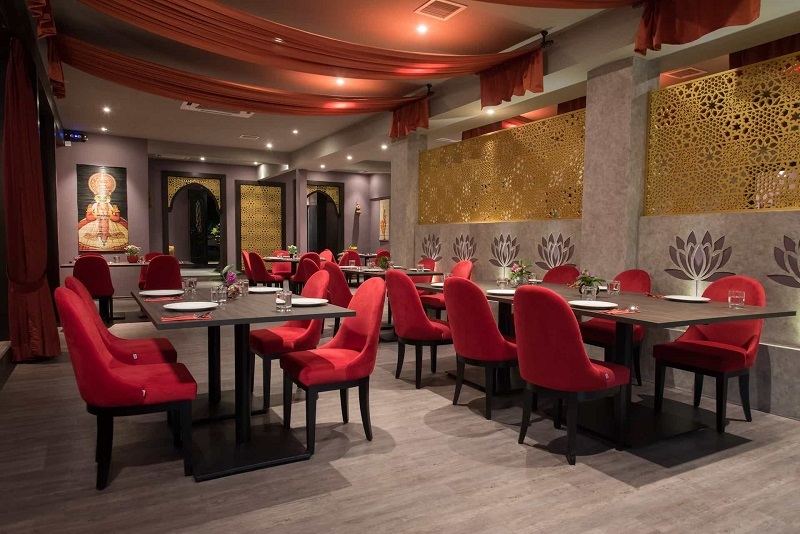 The décor is simple and unsophisticated, but colourful and cheerful, like the food itself. And you’d be surprised by how much food your dollar buys. Gajaa at 8, 8 Lorong Maarof, Bangsar, 59000, KL. 03 2201 7369. Daily, 11.30am-11.30pm. RaamRavan, Hutton Block, Ground Floor, Plaza Arkadia, Desa Park City, 52200, KL. 012 249 1143. Sun-Thurs, 8am-11pm; Fri-Sat, 8am-1am. This article first appeared on Mar 18, 2019 in The Edge Malaysia.